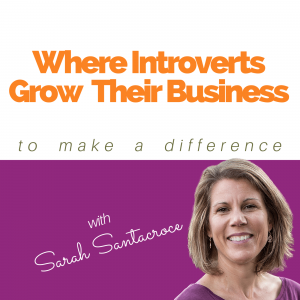 The ‘Introvert Biz Growth’ is a conversation with introverts who have grown their online business using their introverted super powers. We discuss entrepreneurship, personal & business growth, different revenue streams, online selling & making a difference. Past guests include Denise Wakeman, Nicole Dean, Tara Gentile and more. Support Sarah Santacroce on Patreon!